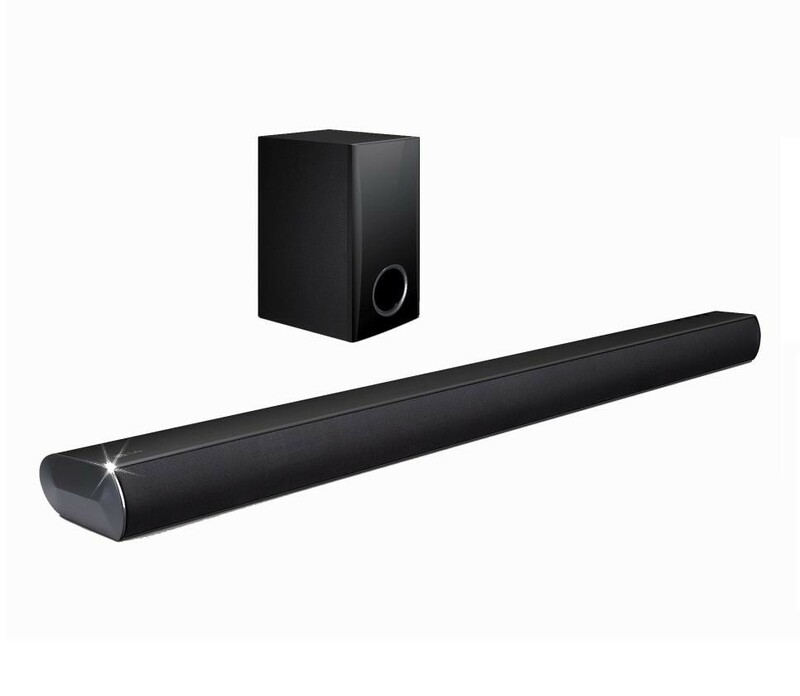 Enjoy the benefits of the 120 W of audio power LG LAS350B 2.1 Channel 120W Bluetooth Soundbar can bring to your living room. 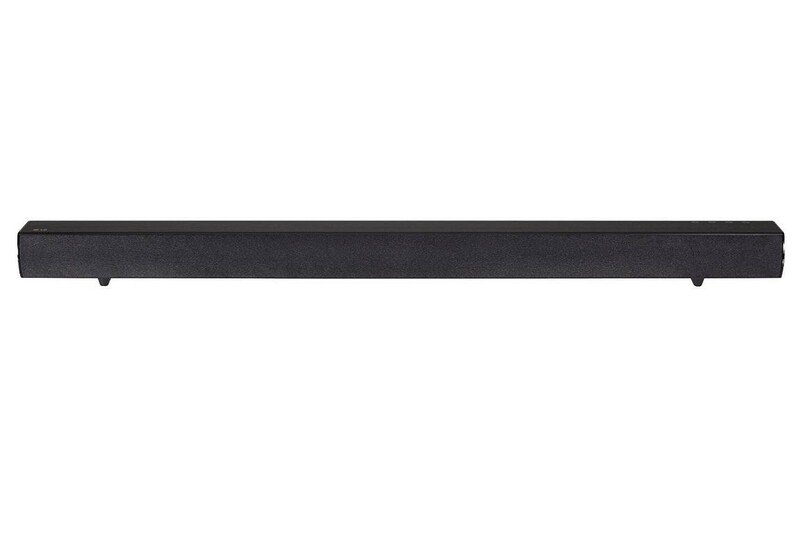 This 50 W sound bar enhances sound effects, dialogue and other audio to enhance whatever you're watching or playing. Its 70 W wired active subwoofer boosts bass frequencies to add more power to content of all kinds, adding resonance to voices, impact to explosions and richness to music. A 3D Surround Processor creates a more immersive sound field that helps you get deeper into your films, programmes, games and other entertainment. If you've got a compatible TV, you can wirelessly sync up the LG LAS350B 2.1 Channel 120W Bluetooth Soundbar via Bluetooth, allowing you to enjoy all that great sound without the hassle and clutter of additional cabling. Use the LG Bluetooth Remote App to control the sound bar using a compatible smartphone or tablet, making it an even more convenient package. Mount the sound bar on an appropriate wall in your living room using the included bracket kit, helping to save floor space and visually accentuate the space.